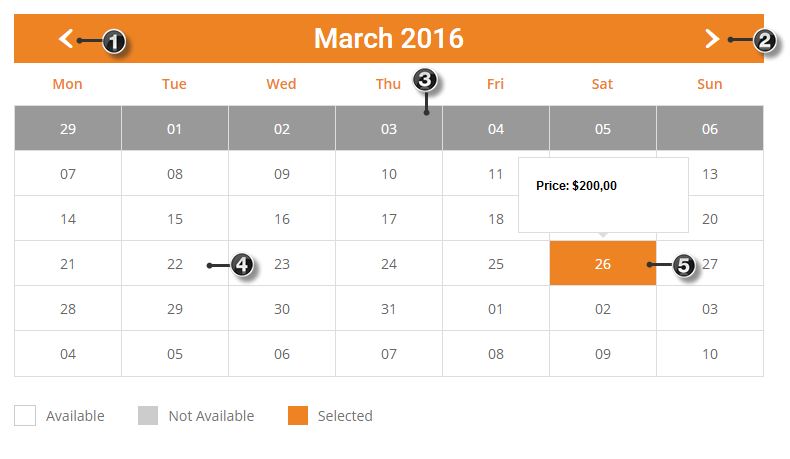 The idea behind the front end booking calendar is that a client can easily view the availability. Item 4: Previous month day(s), or day(s) that have passed. To properly separate this day(s), we reduced the opacity. Item 5: Next month day(s). To properly separate this day(s), we reduced the opacity. Item 1: Click to display previous month(s). Item 2: Click to display next month(s).